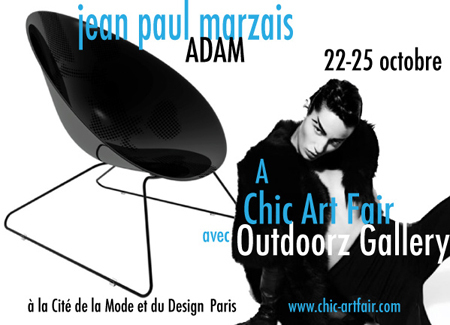 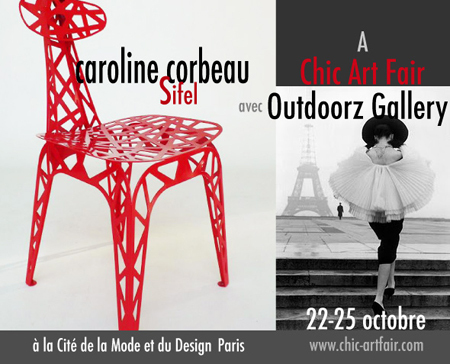 Outdoorz Gallery will be participating in this contemporary art fair at the newly opened Docs en Seine which is the new center of fashion & design in Paris. 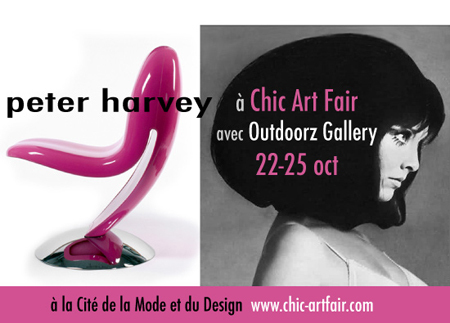 Outdoorz will be presenting works by Tom Price, Erik Griffioen, Peter Harvey, Jean-Paul Marzais, Caroline Corbeau, Breaded Escalope and our latest young designer Jessica Carnevale. 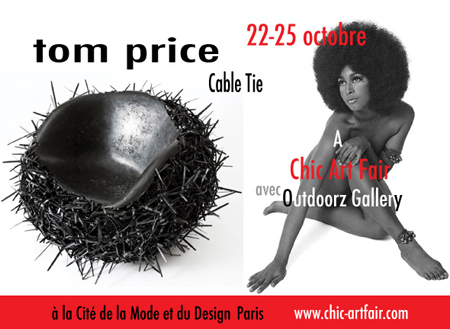 A large Installation on the main floor by Tom Price and performances by Breaded Escalope, if you're in Paris oct 22-25, don't miss it !